Leg Press Incline is effective machine for exercising both legs and glutes. This unit has electrically adjustable back support and shoulder rollers. In addition, this unit has isometric strength testing possibility and lock mechanism. Only available as analog. 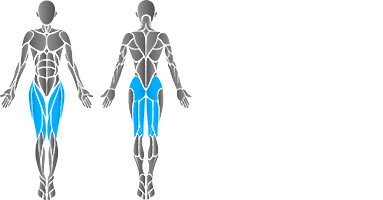 Footplate can be adjusted to set a different joint angle for exercise. Back support and shoulder rollers are adjusted electrically. Thus, Leg Press Incline can easily be optimized for different size of users. Foot straps are used to fasten the user’s feet to the footplate.